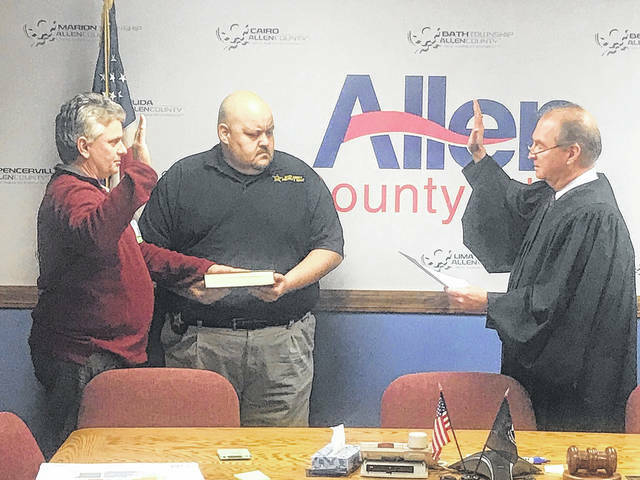 LIMA — On Wednesday morning the Allen County commissioners held a special meeting to appoint deputy coroner Dr. John Meyer as the county’s interim coroner, effective immediately. Meyer served as deputy coroner under former coroner Dr. Gary Beasley since October 2017. Beasley retired effective Jan. 1 after serving 13 years as Allen County coroner. “Thank you for this position. I will do my best to do a good job for you,” Meyer said. Meyer plans on continuing the status quo that Beasley established. “I have a great investigator helping me out. I could not do this job alone,” he said. 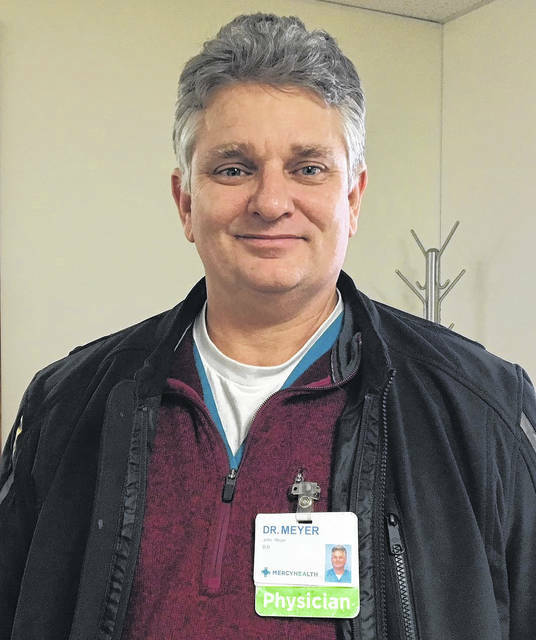 In addition to his interim coroner duties, Meyer is an emergency room physician at Mercy Health-St. Rita’s. He has been there for four years. “I could not ask for a better guy to work with. Thankful to have somebody like Dr. Meyer come on board,” said Allen County Coroner’s Office Investigator Jamie Sizemore. The Allen County Republican Party will be accepting resumes for the coroner position immediately. Resumes must be received by 5 p.m. Wednesday, Jan. 17. Resumes may be delivered to the Republican Party Office, 3111 West Elm St., Lima, OH 45805 or emailed to republicans@allencountyohiogop.com. Candidates must be a certified medical physician licensed in the State of Ohio, must be a resident of Allen County, Ohio and a registered Republican voter. The Republican Central and Executive Screening Committee will meet at 6:30 p.m. Wednesday, Jan. 24, to interview applicants and appoint a County Coroner. Due to Beasley leaving the office with less than half his term expired, the appointed County Coroner must run for the office in the next election in 2018. That position will again be up for election in 2020. Meyer does plan on submitting his resume for the full-time coroner position.